Paramount Pictures has released a new trailer for “Bumblebee,” which shows Hailee Steinfeld forming a relationship with lovable transformer, Bumblebee. “Bumblebee” will take the series back in time to the 1980s, thus serving as a prequel to the main series as well as a spinoff. In the trailer, Steinfeld’s character Charlie Watson finds a VW bug in a Californian junk yard, only to discover that the yellow car isn’t just a vehicle. Turns out, Optimus Prime (or the ghost of the Transformer) sent Bumblebee on a mission to earth to protect the humans from war — and the Decepticons. The film is directed by Travis Knight of “Kubo and the Two Strings” fame, and is written by Christina Hodson. The cast includes Steinfeld, John Cena, Pamela Adlon, Stephen Schneider, Jason Drucker, Kenneth Choi and Ricardo Hoyos. “People can be terrible about things they don’t understand,” Steinfeld says in the trailer. 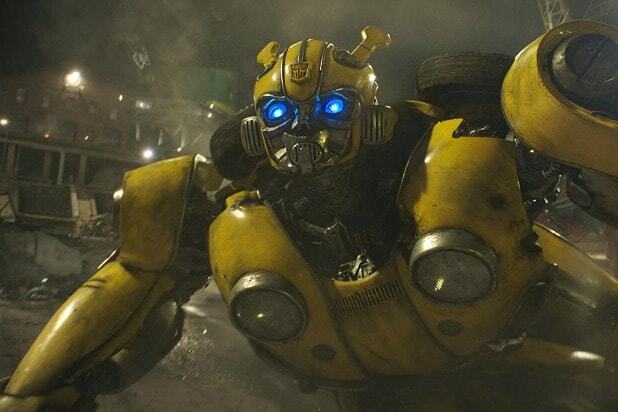 “Bumblebee” will hit theaters on Dec. 21. "Transformers" is probably the weirdest and craziest major movie franchise -- an admirable thing if you're an aficionado of action-heavy genre trash like I am. "Bumblebee" represents a departure from the Michael Bay movies, in that it's generally calmer and more, well, normal. So how does the prequel stack up against the past decade of Bay's robot madness? Everything about this one is just ... too much. And the Arcee (RC) Twins, a.k.a. the Racial Caricature Bots, are simply inexcusable. Michael Bay's libertarian screed is amusing enough, but kind of frustratingly straightforward. We prefer when these movies wallow in paranoid government conspiracy theories. Easily the most incomprehensible of the "Transformers" movies, but also the funniest -- thanks in no small part to Anthony Hopkins having the absolute time of his life. It may also be the most visually striking of all of Michael Bay's movies. By the standards of this franchise, the first movie was the closest to being a "normal" film. It's wonderful, but not quite excessive enough. It's more chill, more coherent and generally more sane than the other ones. And, yes, it's delightful. Hailee Steinfeld is a miracle for the way she's able to conjure up all those emotions acting against a CGI robot. The third movie, however, is exactly excessive enough, with a third act that's just a solid hour of urban robot warfare. Plus there's John Malkovich being weird and Frances McDormand as the requisite government stooge. To cap it all off, you've got the traitorous Leonard Nimoy-bot attempting to usher in the apocalypse from Trump Tower in Chicago -- in 2017, no other "Transformers" movie feels that correct. How does Travis Knight’s prequel “Bumblebee” stand up against the Michael Bay robot epics?